Just a day before the grand opening in San Francisco of Tesla’s biggest store in North America, the newest Texas service plus (sales and service) location went live on the 8th in Austin last week, which means that now Houston, Dallas and Austin, informally dubbed the ‘Texas Triangle’, have such a facility in the local area. As of last week, Tesla’s Pond Springs service plus location in Austin is now up and running for sales and service. According to Austin Business Journal, who initially reported on the building permit back in January, states that the new facility is a whopping 25,478 square feet with an approximated value of about $3.5 million. 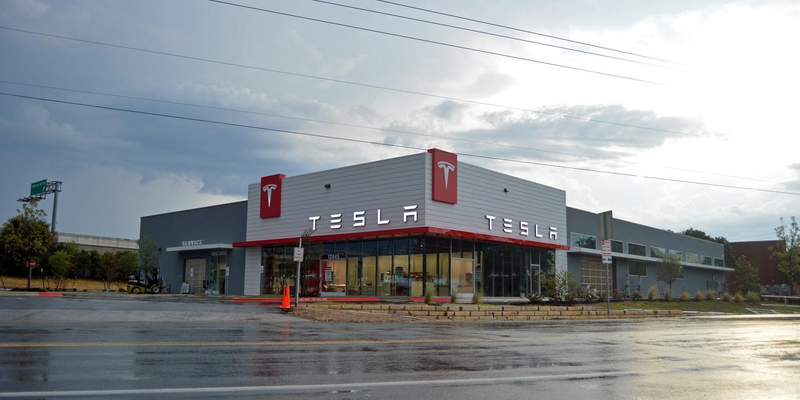 The opening of this storefront in Texas further reinforces Tesla’s commitment to their aggressive expansion plan as noted in their Q2 shareholder meeting. Following the North Houston opening in July last year, and the Cedar Springs location in Dallas earlier in the summer, Austin is the third city in Texas to be home to an establishment of this caliber. So despite the heavy laws and regulations that still hinder Tesla in the Lone Star state, the beloved Silicon Valley company continues to march on towards its goals of opening new sites to further grow in the market. Lastly, there has also been speculation from sources close to the matter that San Antonio will open up operations later this year in the La Cantera area.